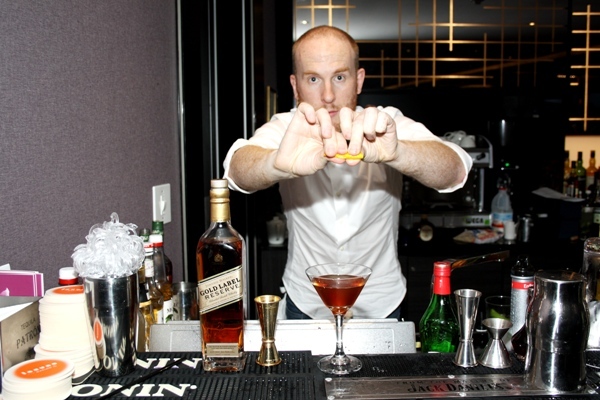 Diageo Reserve brand Ambassador Tim Etherington-Judge is the man you want to mix a cocktail for you. Tim Etherington-Judge is on the search for the best in the business. He's a judge for The World Class bartending competition, which is the world’s biggest and most prestigious cocktail programme. Part of the judging means visiting finalist at the bars they work. We sat down with him and asked him a few questions about this fascinating industry. Which finalist has surprised you the most in the programme? In 2011 we held the global finals in India. The first time we’d run the programme within India and the first time we’d had the global finals in India. I spent three months finding out who India’s best bartender was, there was a young man by the name of Hamant Pathak. He was our Indian finalist. The whole world was coming to Indian and I’m sure he had to drive for half an hour to get to the competition venue. He won one of the 6 challenges; he now works at a two time Michelin star restaurant in New York. He‘s now taken that win and used it to his advantage. That is the kind of things that world-class does, because it’s such a big global platform. I love spending time in bars, my job and my love is the same thing. Do you have a love potion drink?